Emil Mach, 88, of Wahoo, died at home in Wahoo. Emil Mach was born June 29, 1928 in Prague, Nebraska to Joseph and Jessie (Mach)Mach. Emil graduated from Prague High School in 1947. He farmed with his father for a few years after which he entered the United States Army, on April 12, 1951. He completed his military training at Fort Leonard, MO and later served in Korea with the 61st engineer search light company. He served as a search light technician. The search lights were used to light the battlefield at night for the American soldiers. Emil was honorably discharged January 11, 1953 and remained in the army reserves until April 4, 1957. He received the good conduct medal and the Korean liberation medal with two battle stars. 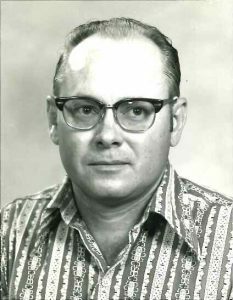 After returning from service, Emil went back to farming and also worked for Western Electric in Omaha for 27 years. After retirement Emil moved to Wahoo where he had a small garden and lots of flowers. He also enjoyed traveling with the Moustache Joe tours. Emil was a member of the Prague American Legion Post #254, V.F.W. Post #10491 of Valparaiso, ZCBJ Western Fraternal Lodge #29 of Prague, and the Pioneers Club. He is survived by his brother Elmer Mach of David City, sister Libby Zavodny of Wahoo, and many nieces and nephews. Preceded in death by his parents, brother Ernest, sisters Christine Dvorak and Gustie Franta.